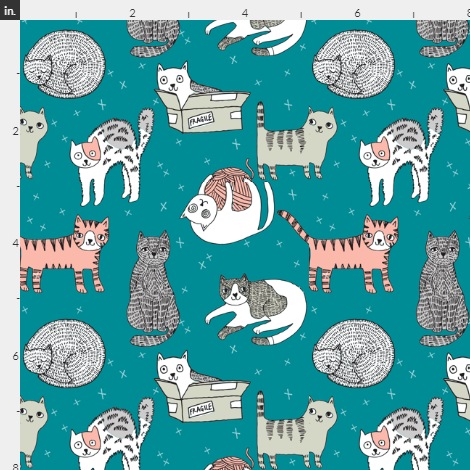 Looking for some inspiration for summer crafts projects? 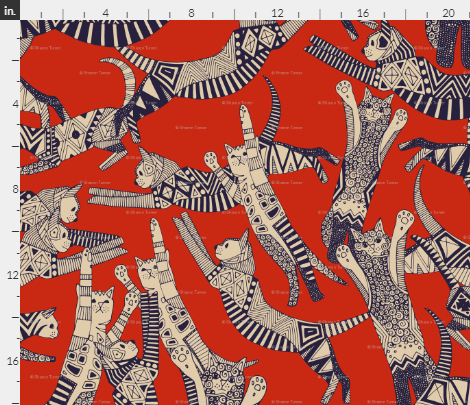 Or maybe material for a feline-friendly sun dress? 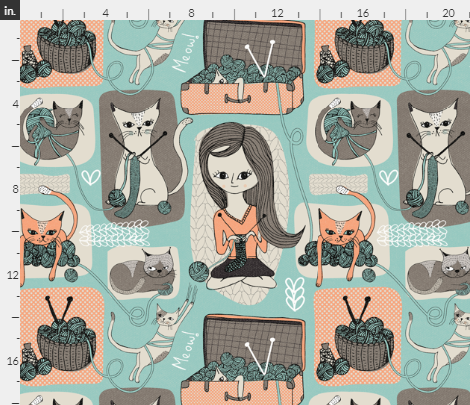 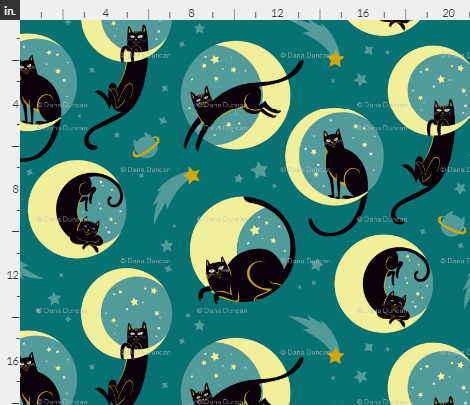 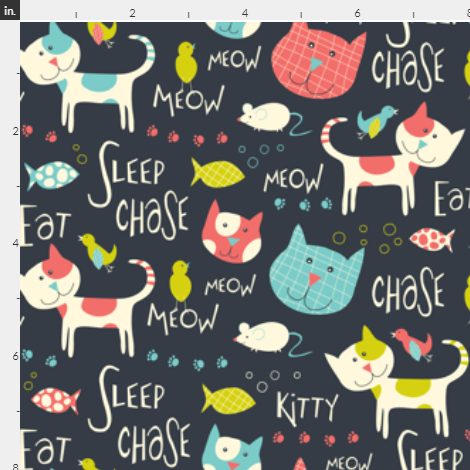 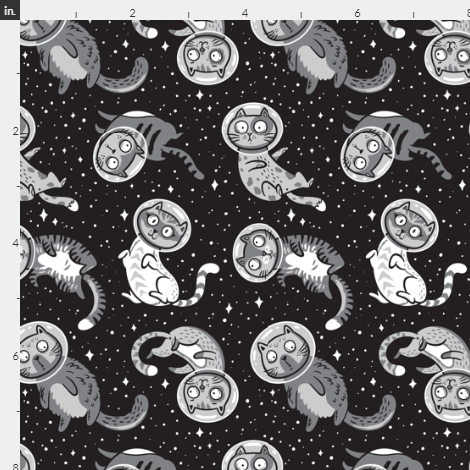 Click any swatch below for info on purchasing the yardage — custom fabric designs from Spoonflower. 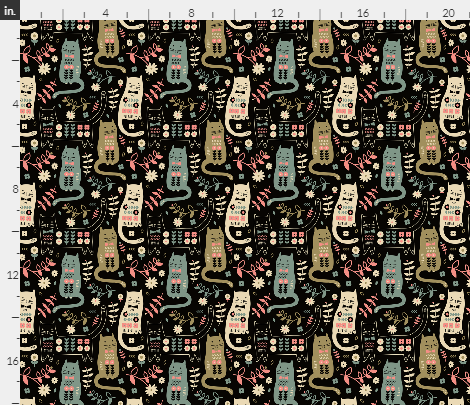 And not just fabric, but wallpaper, gift wrap and more! 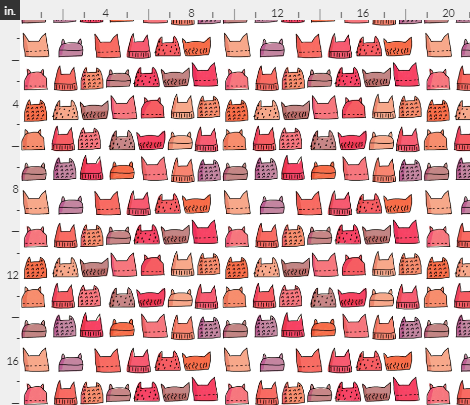 Don’t see anything you like? 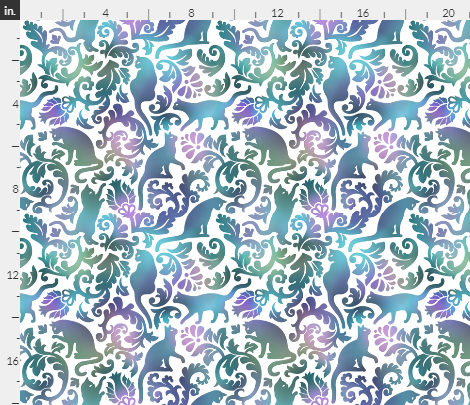 You can design your own! 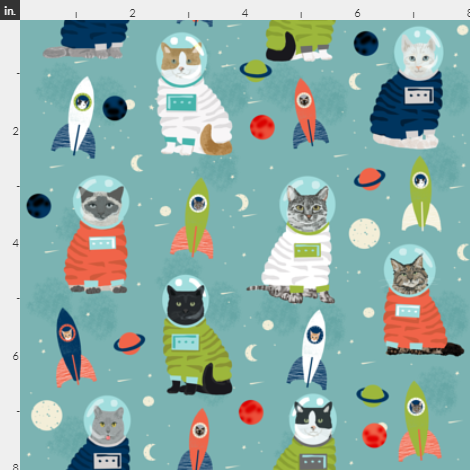 If you didn’t do so well in home ec back in the day, you can go to Spoonflower’s Roostery, and buy the fabric ready-made in a wide variety of home products, including bedding, tablecloths, pillows, and other cool stuff.